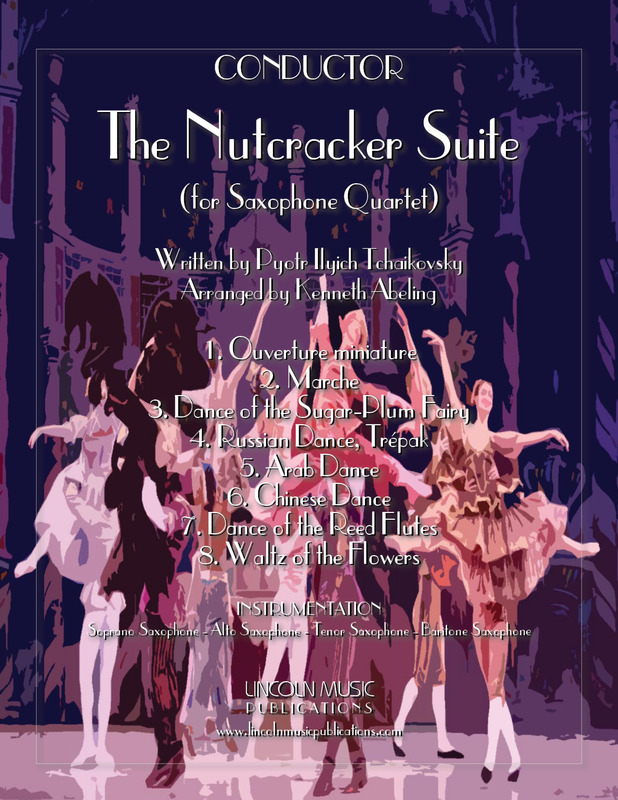 This is an advanced transcription of the entire eight movements of Tchaikovsky’s Nutcracker Suite and this version is for Saxophone Quartet. The Titles include: 1. Ouverture miniature, 2. Marche, 3. Dance of the Sugar-Plum Fairy, 4. Russian Dance, (Trépak), 5. Arab Dance, 6. Chinese Dance, 7. Dance of the Reed Flutes, 8. Waltz of the Flowers. A Score Cover, the Conductor’s Score and all Instrumental parts are included in the price.